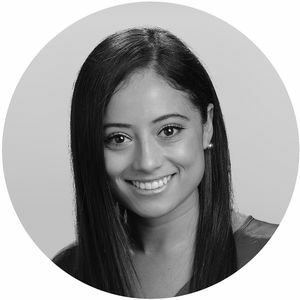 Thania Quiroz has four years of experience as an internal talent acquisition resource to large global multinational manufacturing organizations which is invaluable to our clients. Thania supports both our recruiters and search consultants with research on talent relevant to client search assignments as well as conducting talent mapping of key market sectors. She also provides maintenance oversight to our database to ensure accuracy and optimal use of it. Additionally, she leverages her extensive training in neurolinguistics and body imaging to provide both internal and external training on the candidate screening and assessment process. Thania has a bachelors degree in Organizational Psychology from CETYS University in Tijuana. Thania is fully bilingual in English and Spanish and works from our San Diego office.